Exchangeable image file format (Exif) is a standard that specifies the formats for images, sound, and ancillary tags used by digital cameras (including smartphones), scanners and other systems handling image and sound files recorded by digital cameras. Taken from wikipedia, above information says basically what the EXIF data is. 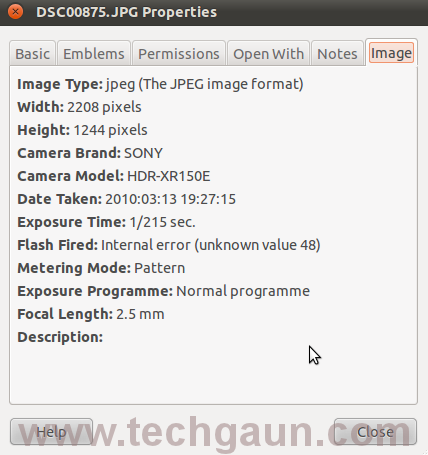 Such EXIF data are usually found in JPEG and TIFF images and much deeper information is given by wikipedia. Now that you understand what EXIF data is, we will now see how we can remove EXIF data. We like to remove the EXIF data to hide what the picture was build or taken with. 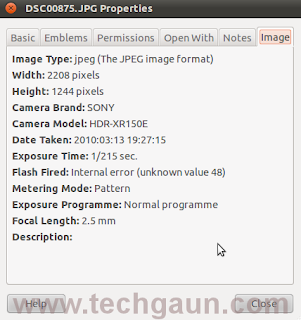 For example, a photographer would like to remove the EXIF data after doing some photoshop stuffs on the image so that high-tech people would not find any EXIF presence of photoshop. (This is just an example). The tool we will be using to remove EXIF data is not other than a part of ImageMagick package, mogrify. So we will use the mogrify command to remove or strip out the EXIF data from the image and then we will see how we can strip EXIF data from multiple files at once.